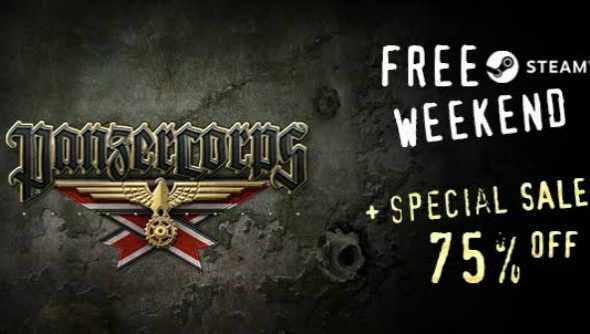 Become a courteous tank commander in turn-based strategy Panzer Corps, which is free on Steam for the entire weekend. If that’s got you in the mood for more tactical treats, have a look at our list of PC’s best strategy games. Set during WW2, Panzer Corps casts you as a general in charge of the armies of Axis, ordering your armored force through a 26 mission campaign, with units gaining experience and upgrades as the war progresses. It also boasts a popular multiplayer that lets you play historical scenarios or custom matches with a more balanced flavour competitively. You can also take on iOS players with cross-platform multiplayer. If you want to give it a try, it’s currently free on Steam. Additionally, if you like it, it’s the lowest price it’s ever been. With 75% off, it’s just $4.99, and you can grab the DLC at half price. There’s a big Twitch stream happening tomorrow with some popular YouTubers streaming the game for most of the weekend, so there are plenty of chances to see what it’s all about.